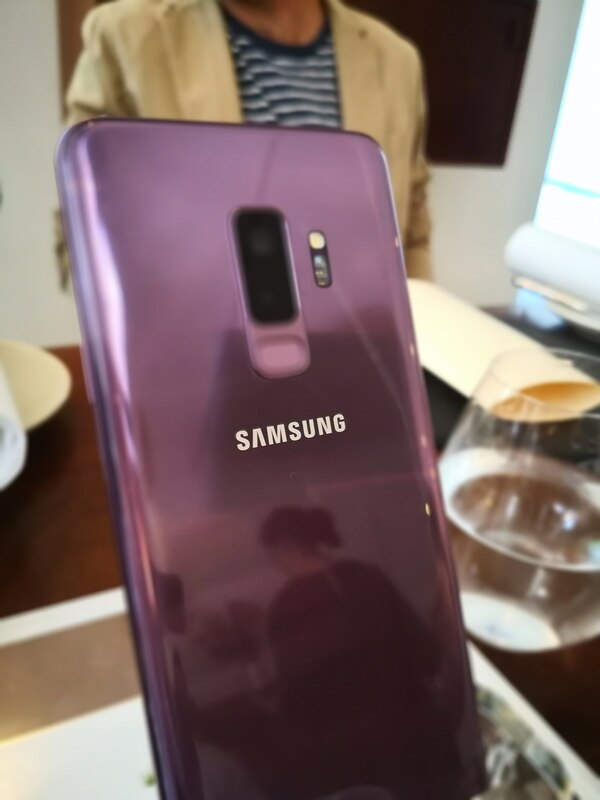 For tech-watchers, it has seemed a long time in the coming, but Samsung today finally unveiled its flagship phone, the Galaxy S9. There are a few surprises, even though naughty leaks have taken the shine of some of them. More often, those naughty leaks were somewhat wide of the mark. Like last year, the S9 isn’t just one phone but consists of two models. The big difference between both the S9 and S9 Plus is screen size. There are other differences too, more than just the 5.8-inch display on the S9 and the larger 6.2-inch used in the Plus version. Screen size aside, the S9 Plus also packs dual 12-megapixel rear cameras in a vertical configuration, while its smaller sibling only has a single camera. Samsung has stuck to the don’t mess with perfection idea. 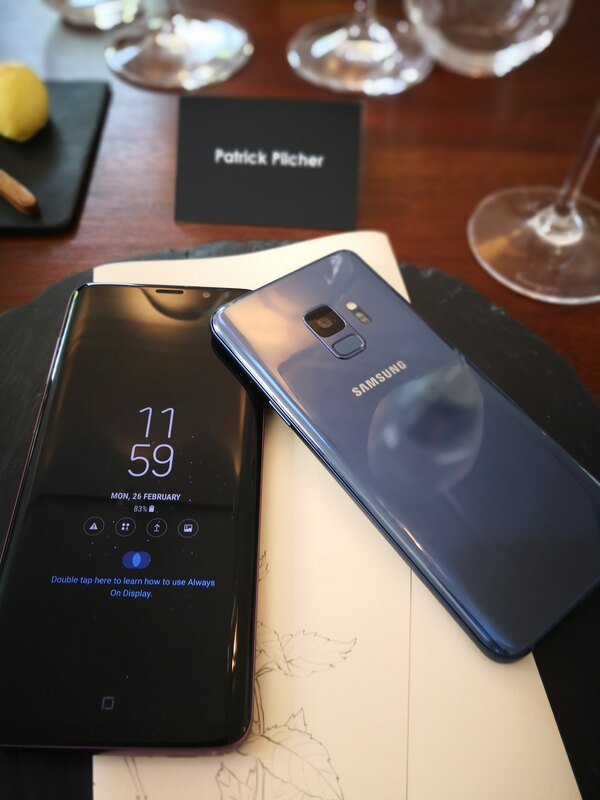 To this end, the S9’s designers haven’t made any huge changes to the looks. On the front it is all screen with a smaller than the already miniscule top and bottom bezels on the S8. Like the S8, the S9 comes with ‘infinity displays’ which go from edge to edge. In a nod to Apple there is no notch, but there are bottom and top bezels. All told, the S9/S9+ feels great in the hand and is a good looking piece of hardware. Under the hood there’s also plenty going on. The non-S variant is powered by a Samsung developed octa core Exynos CPU (4 cores clocking in at 2.7Ghz and 4 cores at a slower but more battery friendly 1.7Ghz). In non-geek speak, this means that the S9 is able to crunch a phenomenal amount of data while lasting the distance when away from its charger. US Samsung fans will get a Snapdragon 845 CPU which should offer similar bang per buck performance. Samsung also say that they’ve baked AI smarts into their Exynos silicon, which allows the S9 to perform quicker and with more accurate facial recognition. Another somewhat gimmicky fringe benefit of Real-time 3D face scanning is that the S9 comes with ‘3D emoji’ tech similar to what Apple has baked into its latest devices. Called 3D Faces, it’ll map your expressions onto emojis. Its fun to play with, but will it be a regularly used feature? Who knows? Face scanning and mapping emoji fun aside, Samsung has long had a solid reputation for putting solid high performance cameras into their S Series flagships. The dual cameras of the S9+ are no exception. They offer depth of field plus super-fast auto focusing, and the camera also makes use of an f/1.5 aperture for low-light shooting. It will also switch to an f/2.4 aperture to keep more objects in focus, making it a strong performer for macro photography. The F/1.5 aperture is a big deal, and here’s why. It means more light gets to the image sensor, which means more detail gets captured and as the sensor isn’t running for quite so long, there’s less noise. That’s just the start. The S9/S9+ also support super slow-motion 960 FPS, as well as a host of augmented reality modes (more on this later). Last (but by no means least) the S9 will also take a half dozen photos and combine the best shots to get you a photo as close to perfect as possible. In practice, the results look great. Bixby is back, and this time Bixby vision might actually prove to be the killer feature it should have been in the S8/S8+. Taking a picture of a city sees pins and highlights overlaid on the captured image. Laying the S9/S9+ down flat turns this into a map, allowing you to access all the pins for dining and shopping recommendations. Live language translation is also built-in, allowing photos of foreign language text to be translated on the fly (which could be a real boon for travellers when overseas). On the memory and storage front, the S9 comes with 4GB of RAM, while the S9+ has 6GB. Storage starts at 64GB and a whopping 256GB can also be had, which is great news for anyone with large media collections. Speaking of media, both phones also come with stereo speakers which have been tuned by AKG (Samsung are also bundling those rather excellent AKG ear buds too). Samsung say that the speakers on the S9 are much, much louder than the S8s. Dex, one of the lesser hyped but killer features of the S8, is back and this time the new dock still converts the S9 into a desktop PC. 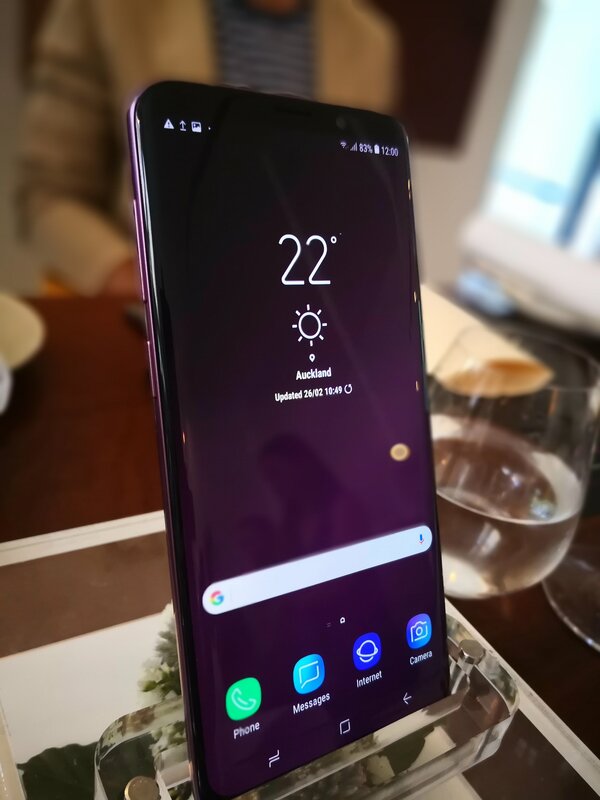 Following Huawei’s lead, the S9 now acts as a track pad and split screen mode also allows it to act as a virtual keyboard. For hot desk workers and travellers, Dex could prove to be insanely useful. Last but by no means least, Samsung has shifted the fingerprint sensor back to a more sensible position, which finally makes it useable. On the S8/S8+ it is easily confused with the camera, which annoyingly smudges the lenses. Hearing the howls of annoyance from phone shutterbugs everywhere, Samsung finally moved it under the camera sensors, which is about where your index finger will naturally sit when picking up the phone. 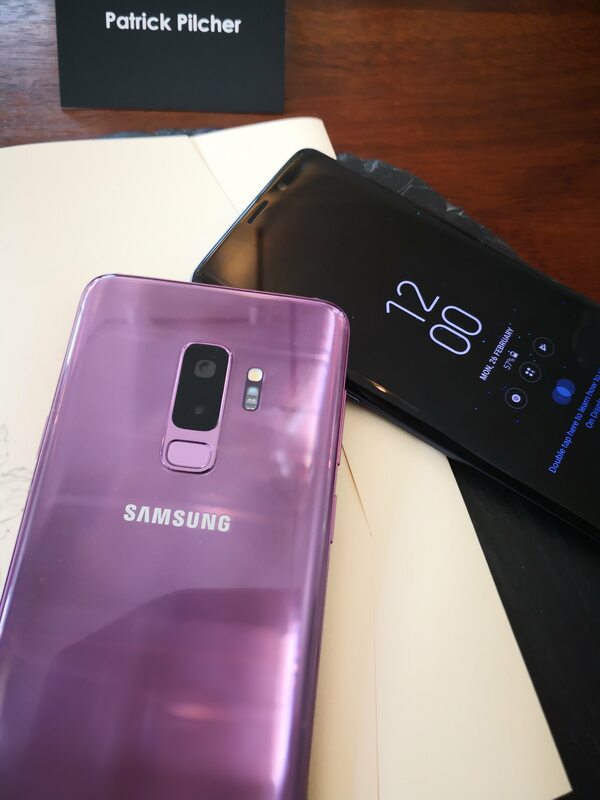 The S9/S9+ will ship in Coral Blue, Lilac Purple, Midnight Black and Titanium Grey.